March 22, 1988 Philadelphia Flyers vs Boston Bruins. 0-3 loss. January 22, 1992 Los Angeles Kings vs Minnesota North Stars. 3-3 tie. January 23, 1992 Los Angeles Kings vs St. Louis Blues. 6-5 win. 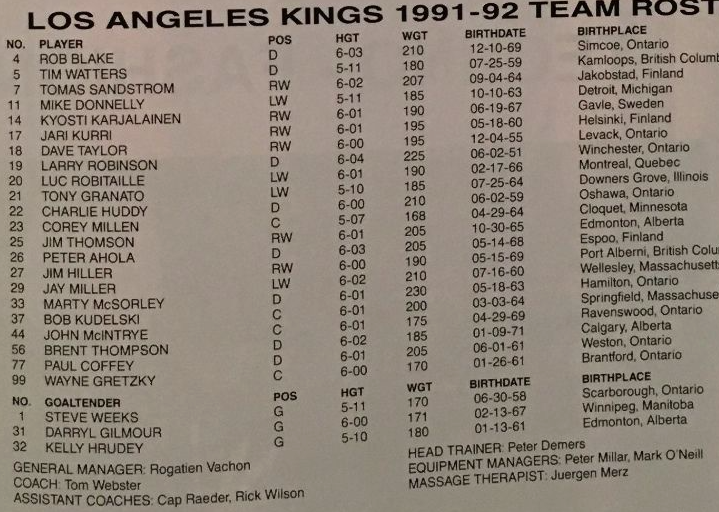 January 25, 1992 Los Angeles Kings vs Calgary Flames. 4-3 win. January 28, 1992 Los Angeles Kings vs St. Louis Blues. 3-3 tie. January 30, 1992 Los Angeles Kings vs New York Rangers. 1-4 loss. February 1, 1992 Los Angeles Kings vs Chicago Blackhawks. 2-0 win. February 4, 1992 Los Angeles Kings vs New York Islanders. 1-2 loss. February 6, 1992 Los Angeles Kings vs Hartford Whalers. 5-5 tie. February 8, 1992 Los Angeles Kings vs Pittsburgh Penguins. 4-3 win. February 9, 1992 Los Angeles Kings vs Buffalo Sabres. 5-4 win. February 11, 1992 Los Angeles Kings vs St. Louis Blues. 2-3 loss. February 13, 1992 Los Angeles Kings vs Chicago Blackhawks. 2-2 tie. February 15, 1992 Los Angeles Kings vs Washington Capitals. 6-3 win. February 17, 1992 Los Angeles Kings vs Boston Bruins. 6-3 win. March 3, 1992 Los Angeles Kings vs Philadelphia Flyers. 4-1 win. March 4, 1992 Los Angeles Kings vs San Jose Sharks. 4-3 win. The Philadelphia Flyers drafted Darryl Gilmour in the third round of the 1985 entry draft. He would get just one opportunity to dress in an NHL game with Philly. 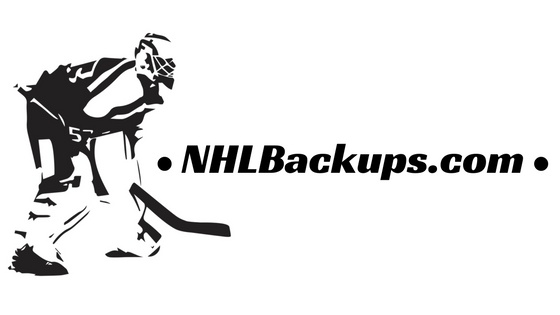 March, 1988 Flyers goalie Ron Hextall was forced to sit out due to a seperated shoulder. Darryl Gilmour was recalled from Hershey to replace Hextall and dressed as Mark Laforest's backup. When Hextall's diagnoses came in and it was clear that he would miss a couple more games, the Flyers opted to send Gilmour back to the AHL and recall a more experience goalie in Wendell Young to backup Mark Laforest. Four years later Darryl Gilmour, now with the Los Angles Kings, found his way back to the NHL. January 21, 1992 the Los Angeles Kings traded struggling goalie Daniel Berthiaume to the Boston Bruins for draft picks. Darryl Gilmour was subsequently recalled to fill the void left by Berthiaume. Gilmour spent nearly a month with the Kings, serving as Kelly Hurdey's backup. Unfortunately for Gilmour, the Kings, lead by Wayne Gretzky, were playing so steadily in front of Hrudey that Gilmour didn't get a second of NHL action the entire month. 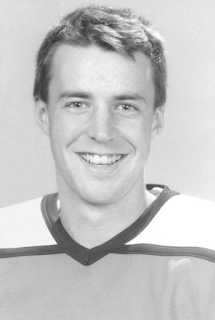 Late February, the Kings acquired veteran netminder Steve Weeks from the New Islanders for a 7th round pick. Weeks, who had played well over 250 NHL games, was acquired to provide insurance should Hrudey get injured. The untested Darryl Gilmour was sent back to the AHL. 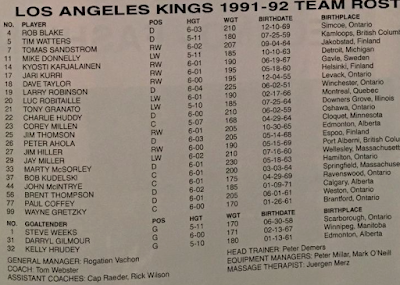 Just a couple weeks later Darryl Gilmour was back on the Kings roster when Steve Weeks was sidelined with a sore back. Gilmour once again served as Hrudey's backup. Darryl Gilmour played pro hockey until 1999. He is a graduate of the University of Manitoba and currently works for American Family Insurance in Camas, Washington.